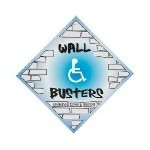 Our Mission: To educate and advocate for the removal of barriers to independence for people with disabilities. Call Art or Cassie at Access Alaska 479-7940 for information or to inquire about transportation. This entry was posted in Events, Fairbanks Services, Services, Support Groups. See related: Fairbanks, SupportGroups. Bookmark the permalink.